A Better World Without Journalists? During a flight on Air Force One, a journalist once asked First Lady Jackie Kennedy what she fed her new dog. Her answer? Reporters. Political journalists are even less popular today. People complain about how rude and pushy they seem on TV. The idea of anonymous sources is questioned. Media outlets are called “fake news,” a vague term to be covered elsewhere. Here I want to talk about journalists in American history and the founders. The very function of journalists as government watchdogs is under attack. A t-shirt seen at political rallies proclaimed: Rope. Tree. Journalist. Some Assembly Required. A Michigan man threatened CNN and its reporters with death. But if anything, I believe the founders today would consider the average journalist not adversarial enough. Too meek and deferential to authority. Unless one of those founders was president at the time! 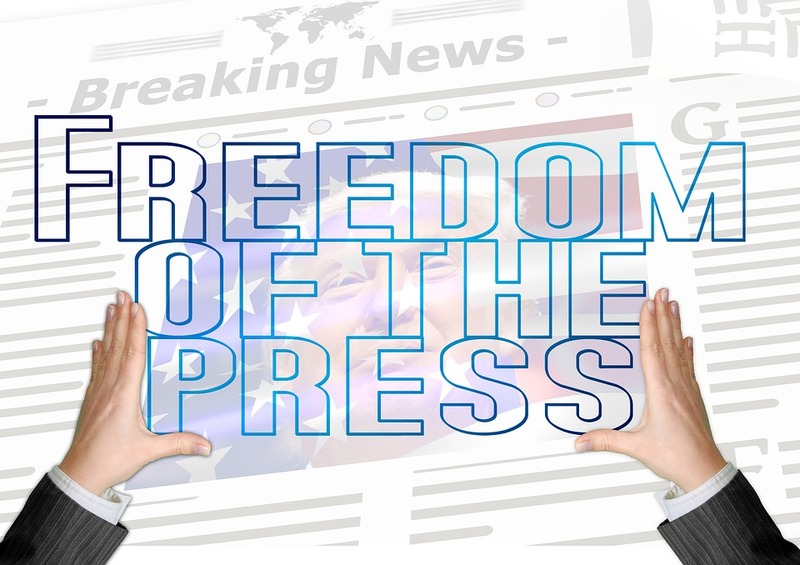 Journalism, a.k.a., the fourth estate, is the only profession protected in the U.S. Constitution, in the First Amendment’s freedom of the press clause. This is because the founders understood the importance of a free press to democracy. The media is not separate from the people; it represents the people. Founders Thomas Jefferson and John Adams (3 and 2, respectively) were big defenders of the free press, that is, until they got negative press themselves. Then Adams supported the Alien and Sedition Acts and Jefferson sued a newspaper for libel. This shows that these revered men were human, and not always ideologically consistent. Press critics focus on television pundits whom they disagree with, those whose big egos and bigger mouths make them visible. But these are a tiny fraction of the press corps. Most toil long hours for low pay because they care about speaking truth to power. 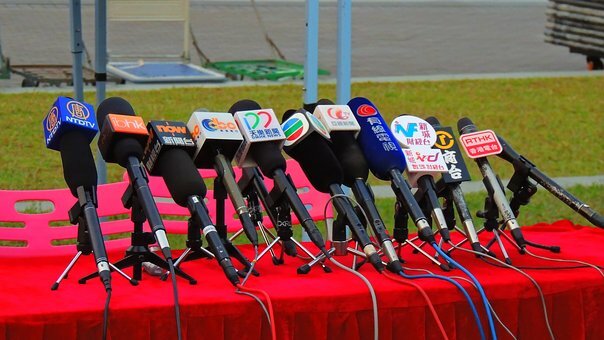 Journalists interviewing aspiring politicians are essentially conducting job interviews. They have to because it’s impossible for every citizen to do so. Designed to weed out the unqualified or unfit, job interviews are often grueling and uncomfortable. They are not designed to make applicants feel good about themselves! Journalists interviewing office holders are conducting performance reviews, ensuring transparency and accountability to the people who pay their salaries, the taxpayers. Journalists witness events, creating the so-called rough draft of history. They go to dangerous hot spots, taking enormous risks. Imagine being an investigative journalist on the trail of the Mafia. Try exposing political corruption in Putin’s Russia. You may find out what polonium tastes like. What about “liberal bias” in the media? This does not exempt them from covering both sides of issues and holding every politician’s feet to the fire, regardless of personal beliefs. America’s Vietnam War was forever altered by photographs: The summary execution of a shackled Viet Cong prisoner. A naked child screaming while slathered in napalm. A Buddhist monk burning himself with jet fuel. These photos tugged at the conscience of America and created policy changes upon which the outcome of the war turned. How many of us would venture into ISIS-controlled territory to report the facts? It’s a short list. Those on it are deserving of the highest gratitude. The unspeakable agony of Daniel Pearl horrifies and saddens every sentient being. Dorothea Lange’s photos of destitute migrant workers in the Depression sparked new agricultural policies. Upton Sinclair exposed the filth and horror of meat-packing plants in “The Jungle.” The outcry created tsunami-like pressure onto government. And legislators acted to correct the problems with reform laws like the Meat Inspection Act and Pure Food and Drug Act, both of 1906. Of course, the Pentagon Papers. Does a newspaper have the right to publish documents stolen from the Defense Department? That’s the question posed in The Post. The Supreme Court ruled in 1971 that it did. The Pentagon Papers were turned over by Daniel Ellsberg to the press. The papers showed systematic misrepresentation of the Vietnam War by government. Did the papers contain military secrets? Yes, but the court ruled that freedom of the press to expose government deceit superseded national security in that instance. Imagine leaders having unlimited power to suppress journalism behind the banner of “national security.” The federal government suppressed photographs of American dead in World War II so as not to damage civilian morale. Images of dead Marines, face down in the sands of Tarawa, did not reach the public until the very end of the war. Is this ever a wise policy? Good question if you have a few lifetimes to answer! Journalists have ongoing debates about when to voluntarily not publish at the government’s request. Imagine taking just one day’s copy of the New York Times or Wall Street Journal and placing a big red X over anything that someone in power would want suppressed. I’m sure you realize that there would be little left. The current president wants legal action to suppress books he doesn’t like, using the Stalinist phrase “enemy of the people” to describe those who report the facts. A free press is never the enemy. When reporters get it wrong or make mistakes, the solution is not to suppress them. It is to write another book answering it. Did this post inspire you to think and read more? Good! That’s our hope. Share it with others to keep the dialogue of democracy going.